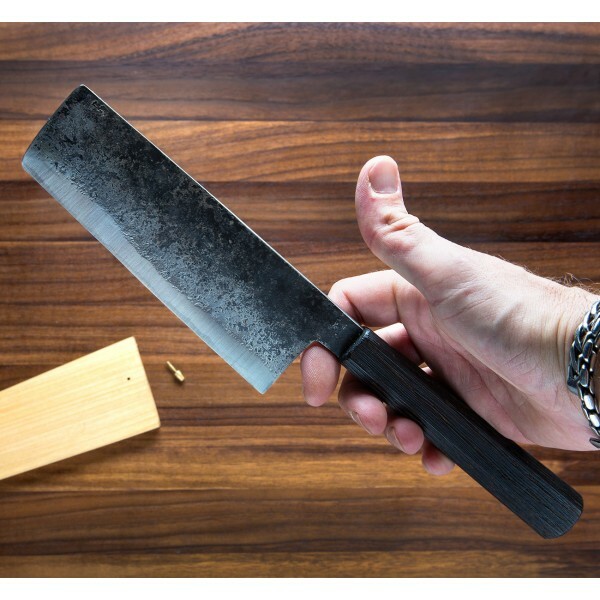 Another beautifully weighted, beautifully balanced and beautifully executed nakiri for your vegetable chopping pleasure courtesy of Bryan Raquin. 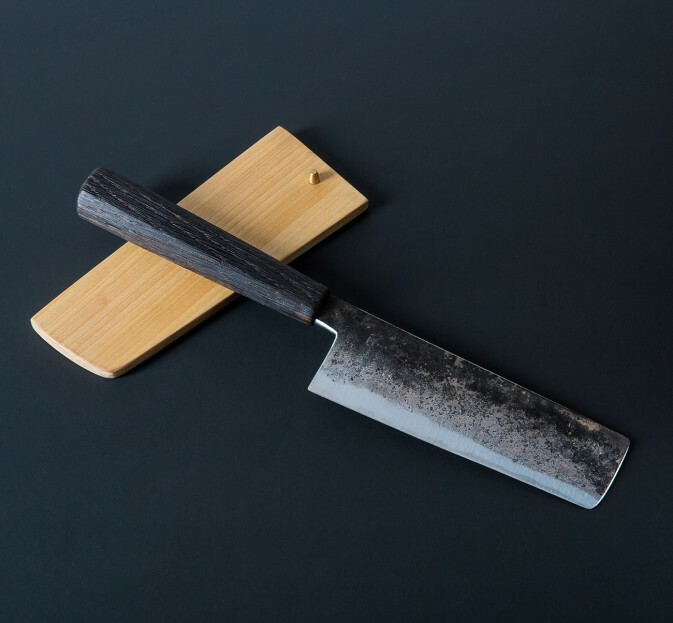 Hand forged at his one-man studio, the san mai blade is made of 145sc ('super-clean') carbon steel for the edge with XC-10 outer layers and measures a comfortable 153mm (6"). Overall the knife is 12.5" long and weighs 196g (6.9oz). 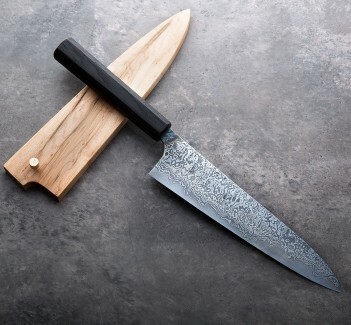 Thin behind the edge with a spine that begins wide and quickly tapers to 1.8mm, this is a knife that can do so much in the kitchen you won't want to stop at veggies. 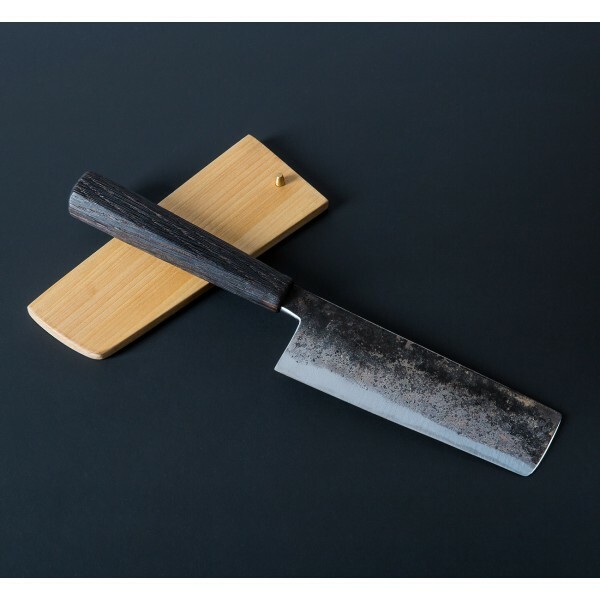 Custom wooden saya with brass pin included. 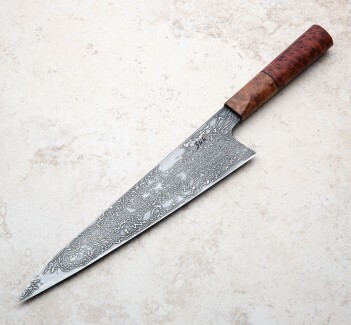 We've always loved Bryan's nakiri. With a burnt oak handle, the wood for which is sourced locally near Bryan's childhood home, and handmade saya with brass pin, this is an excellent package for someone looking to add a nakiri to their collection, or simply someone who wants a sharp, thin mid-size carbon steel knife with forward leaning balance for endless prep work.